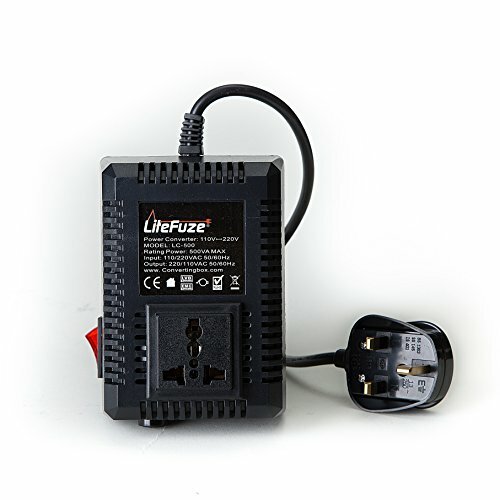 LiteFuze 500 Watts Travel Voltage Converter - Step Up/Down - Light Weight Compact Size - Converting box Technology - Fuse Protection. Small in Size & Weight For Easy Travel. Warning: This converter is not designed for use with hair dryers, power tools, heaters and other high power products. If used continuously do not exceed 250W.